Here you go, Dad: The Promised! 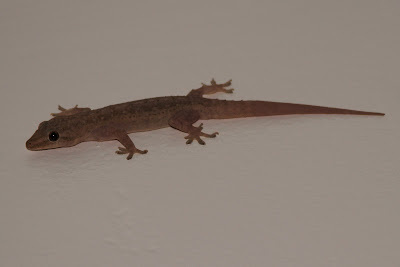 This little guy was on our ceiling, quite unexpectantly. We took a few shots then chased the little booger away to outside and away from the kitties!